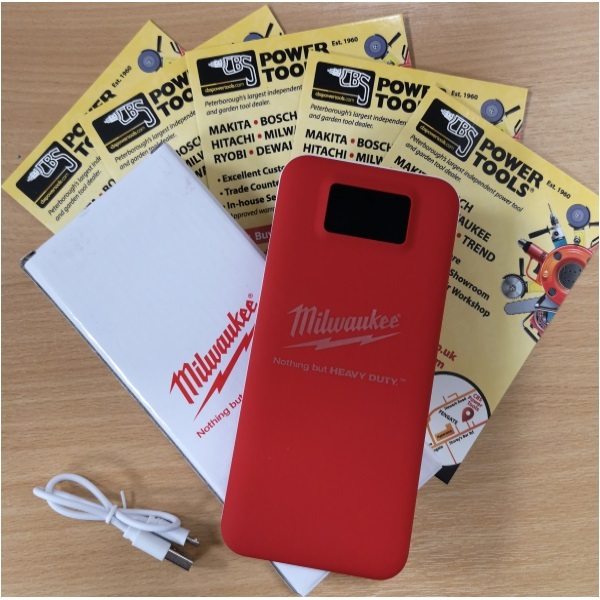 The Milwaukee 4939435193 portable powerbank is a very usefull accessory . It is an ideal backup for use when you are out and about on business or pleasure. It features a large digital display screen so you can see how much charge is left on it at the touch of a button and has two outputs (1A & 2.1A) so can be used to charge various items of technology from phone or tablets (please see your manual for the relevant usage as A requirements can vary ). The powerbank also comes complete with a USB cable for charging.